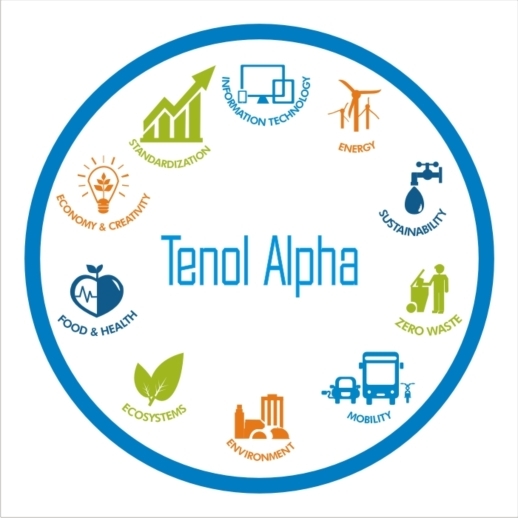 Tenol Alpha Limited is a leading business and ISO management systems consulting firm in Africa offering operational excellence, project management, marketing research, lean six sigma deployment, training and business advisory services. We are facilitators of ISO Management Systems certification in large corporate , small and medium organizations. We deliver on management systems such as ISO 9001,ISO 14001,OHSAS 18001, ISO 20000, ISO 22000, ISO 22301, ISO 27001, ISO 26000, ISO 38500, ISO 55001 etc. Registered with SON and CAC: We are affiliated with PECB (Professional Evaluation and Certification board) accredited by ANSI and TVECERT Certification Services (accredited by United Kingdom Accreditation Services-UKAS).Our IRCA courses are managed by TVECERT. Tenol-Alpha’s core competence rest on the dual competencies of training and project management, adding value to businesses, identifying improvement initiatives and also delivering ISO projects certification on time and to agreed schedule. Our competent , experienced , widely travelled, and customer centered experts working within a structured system are our major strength.Request for a quote today @ a reasonable charge. Other complimentary services include executive coaching, customer satisfaction measurement, marketing research,system appraisal, suppliers audit, environmental audit, impact assessment, sales systems development and implementation, sales force automation services, sales performance measurement and monitoring system design. We help organizations to achieve set objectives through development of efficient and effective business processes. The company also delivers short courses either as public programs or in-house (On or off site) programs. Check our site:www.tenol-alpha.com for the current training schedule.